Joyce has been a dental receptionist for more years than she cares to remember! She recently retired, but you will still see her from time to time when she covers staff on vacation. She likes running, golfing, entertaining, traveling, gardening and playing pickleball. She is also a cat lover and her cat Charlotte is a rescue cat. She loves spending time with her grandson Fraser. Kelly has been a dental receptionist for over 20 years. She loves her annual vacations to Hawaii, curling, walking, biking, yoga and reading murder mysteries. She is also a cat lover and recently adopted two rescue kittens from Katie's Place. 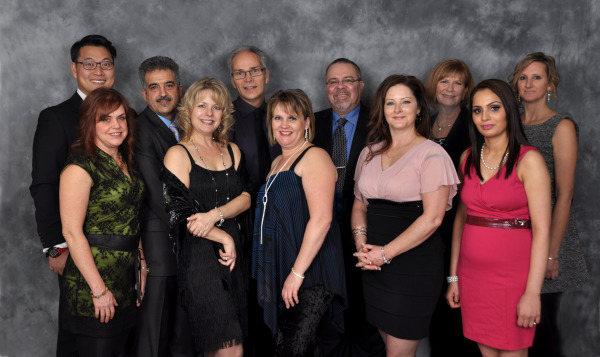 Sue has been in dentistry since the age of 16, first as a certified dental assistant and now as a dental receptionist. She loves to sing! She is a choir director at her church and sings with the group Collage. She recently took up the sport pickleball and plays as often as she can. Other interests are cancan dancing, skiing, hiking and curling up with a good book. Mairead (rhymes with Parade!) is originally from Ireland. She is fairly new to dentistry having had a career in sales and marketing. She is a former horse owner and loves all animals. She volunteers at North Fraser therapeutic Riding Association in Maple Ridge and loves biking, hiking, skiing and yoga. Mona has been a dental assistant for over 30 years and has completed the Prosthodontic Module. Her hobbies include reading, movies, walking her dog and shopping. She loves to socialize and enjoys getting together with friends for walks and dinners. Sharon has been a dental assistant for over 20 years and has completed the Prosthodontic Module. She loves a good cup of coffee, as well as running, cooking, gardening, fitness, yoga and family dinners. She loves animals and is a volunteer at Katie's Place. Bev graduated from the University of Alberta in 1975 and moved to B.C in 1984. She has worked as a dental hygienist in our office for over 30 years. Bev has many artistic talents and enjoys, knitting, painting, sewing and scrap booking as well as playing the flute and the Celtic harp. She and her husband also enjoy Scottish country dancing and hiking. Siamak got his Bachelor’s of Science degree in his home country of Iran and completed his dentistry degree in Turkey. He met his wife in dental school and both worked as dentists in Istanbul for a few years. He has been a dental hygienist in B.C. for over 20 years. His hobbies are soccer, swimming, tennis, chess and is very involved in promoting human rights awareness in the Middle East. Siamak is fluent in Farsi and Turkish. 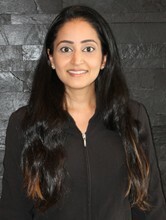 Parm first trained as a certified dental assistant before becoming a dental hygienist. She has been a dental hygienist for over 10 years. Her hobbies include fitness and cooking and spending time with her daughter Syna. She lights up our office with her laughter. She is fluent in Punjabi and Hindi. Ruby recently joined our practice. She graduated from Ontario in 2007 and has been a dental hygienist for over 9 years. She enjoys getting to know her patients to provide optimal oral hygiene. Her hobbies include anything creative in the arts and crafts, baking, and hiking. She is very passionate about travelling and she hopes to have hit every continent at least once! She is fluent in Punjabi and can understand some Hindi.